The quote above is from an article which appeared in the New York Times, on January 11, 2001. AALBC.com has only grown larger and more comprehensive since then. This email is written for authors, publishers, and anyone interested in book marketing to help them take advantage of AALBC.com’s features and services. Join our new Authors and Publishers Mailing List to receive emails like this once a month (at most). 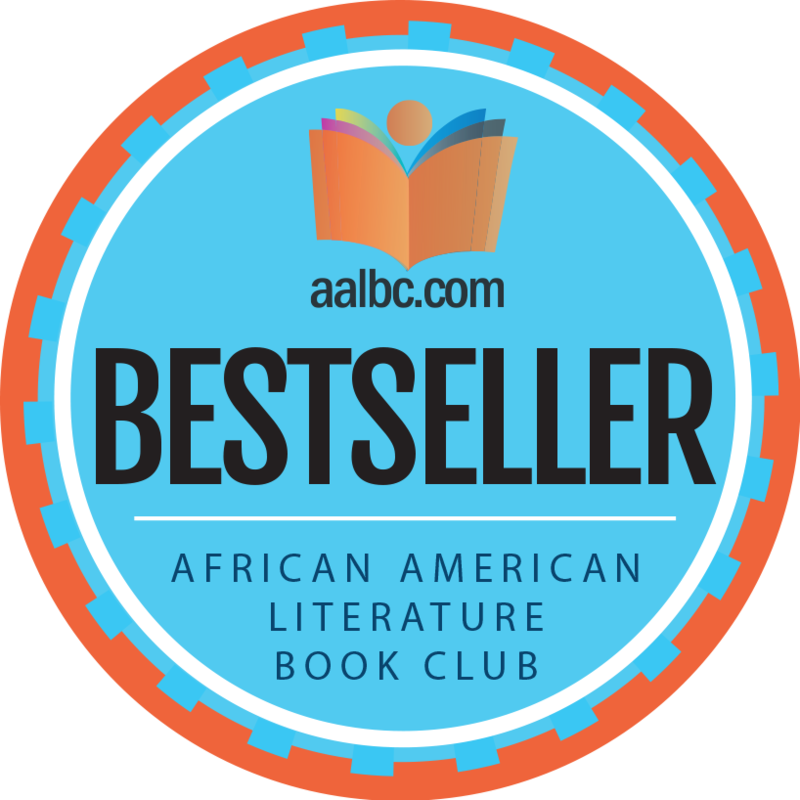 Our bestseller seal may be used on any AALBC.com bestselling book. To see if your book qualifies, you may review a complete list of AALBC.com bestselling books. A high resolution version of our seal with a transparent background is provided here for your convenience. AALBC.com bestselling publishers and authors are free to use our Bestselling Book Seal on their book covers and promotional material, in physical and electronic formats, without prior permission from AALBC.com. AALBC.com bestseller status is conferred to the book’s title independent of its format. 728×90 Ad Banners are displayed at the top and bottom of every AALBC.com page. The sample banner, Supreme & Justice 1 & 2 by Ernest Morris, shown above, is a banner currently running and is shown here at only 70% of the actual size it appears on the site. Banners will be displayed at least 100,000 times– that is less than $0.50 CPM—a terrific deal (if I do say so myself). Get started now. Authors are best served by maintaining their own websites. I have always assisted authors, as a courtesy, by serving as their de facto official website. Authors Martha Kennerson (marthakennerson.com) and Cavis Adams (cavisadams.com) have recently taken advantage of this free service by pointing their domains to their AALBC.com profile pages. If you are one of the more than 3,100 authors with a profile on AALBC.com and don’t have a website, just ask and we’ll take care of it. If you don’t have a profile on AALBC.com we can create one for you. You can also enhance your existing author profile by including your social media feeds, events calendar, and customizing the buy links for your books. You will effectively have a full featured website, for a fraction of the cost, and without worrying about a disappearing webmaster. Join award-winning author Elizabeth Nunez (elizabethnunez.com) and independently published author Christopher D. Burns (chrisdburns.com), by taking advantage of this service. I use it myself, troydjohnson.com. I’m a GoDaddy Pro with over 20 years of web development experience. I also teach web design at the college level. You’ll be in good hands. Learn more here. I will limit the number of mailings, designed solely for authors, publishers, and book promoters to just one per month. The goal is to help this specialized audience learn how to take advantage of AALBC.com’s platform and to provide insight on how to take advantage of the web in general. We are building a dedicated list so that our regular subscribers will no longer receive information specifically written to benefit authors and publishers.